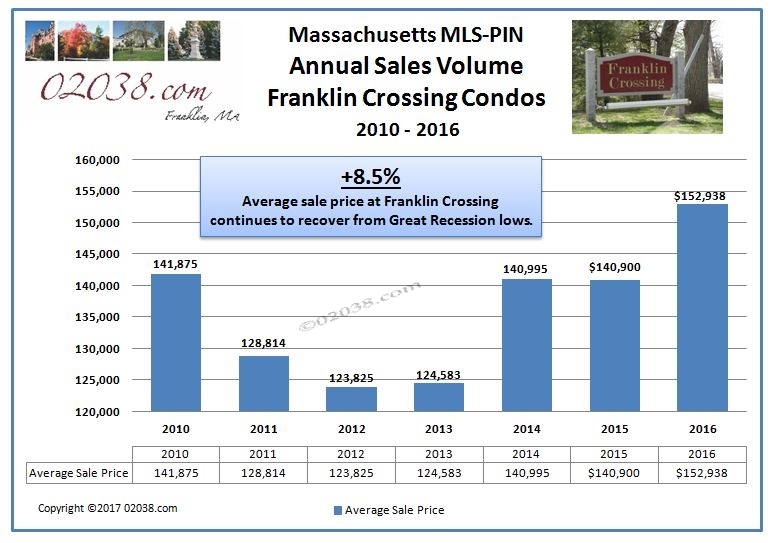 The average sale price of condos at Franklin Crossing in Franklin, MA rose sharply during 2016. At $152,938, the average sale price at Franklin Crossing was up 8.5% over the average price for 2015, and now stands 23.5% higher than the market cycle low of 2012. 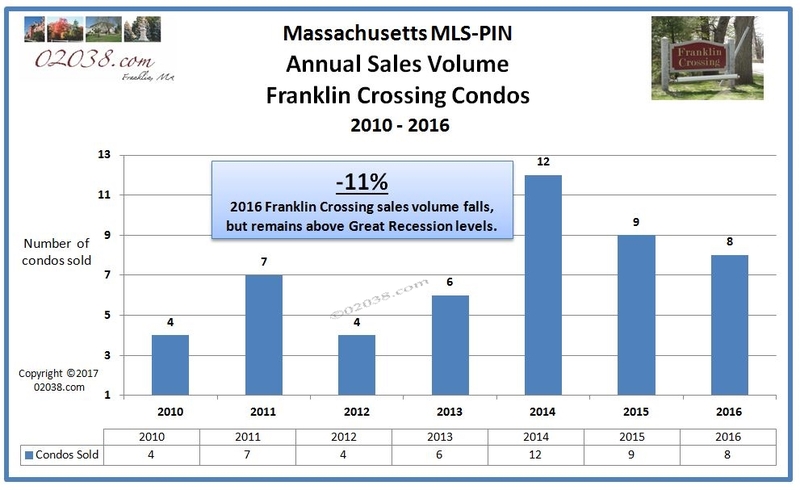 What was most striking about sales activity at Franklin Crossing during 2016 was the fact that of the eight sales at Franklin Crossing recorded on MLS-PIN during the year, six sold for over asking price – sure sign that prices at Franklin Crossing were on the upswing in 2016 and likely be rising further as 2017 gets underway. For the second straight year, there was a modest decline in the number of Franklin Crossing units that changed hands. Eight condos at Franklin Crossing sold during 2016, down slightly from 2015’s sales total of nine. However, the curtailed sales volume at Franklin Crossing during the year likely had more to do with an inadequate supply of available homes at Franklin Crossing, rather than any lack of interest by buyers. There was strong demand for Franklin Crossing condos throughout 2016; many Franklin Crossing listings received multiple offers soon after entering the market. 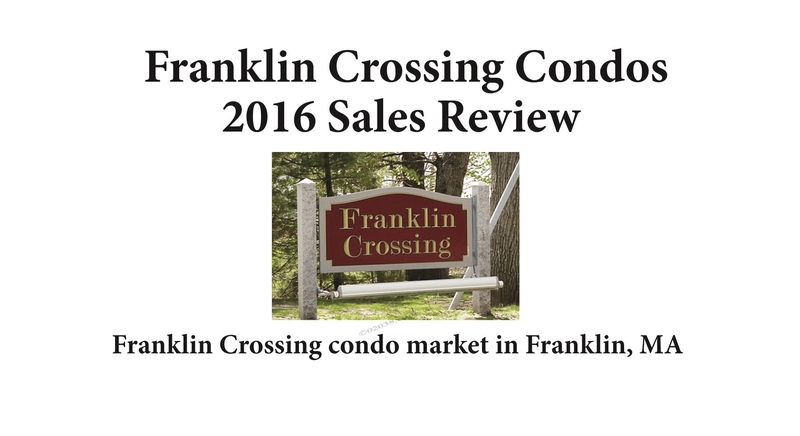 In any event, 2016’s sales total at Franklin Crossing was higher than annual sales volume there during the any of the years from 2010 through 2013. 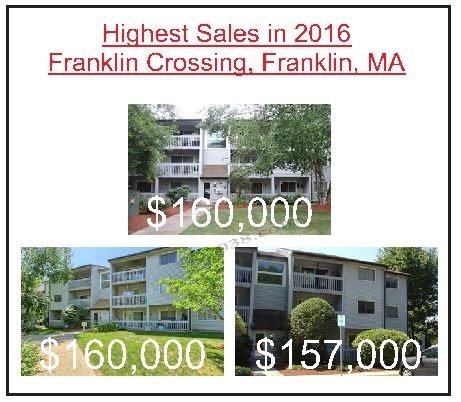 The highest sale price achieved during 2016 at the Franklin Crossing condos in Franklin, MA was $160,000. Two units sold for that price, the first time any home at Franklin Crossing sold for at least $160,000 since the height of the financial crisis of 2009. 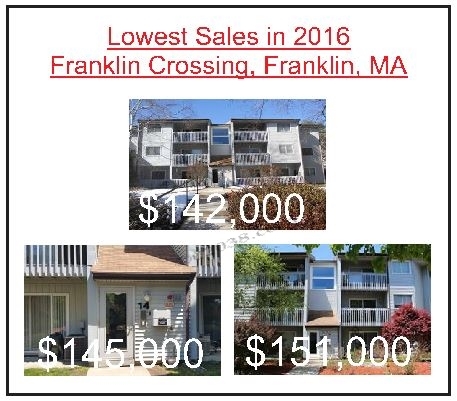 Follow the hotlink in the image above or in this sentence to access photos and details about the top three sales at Franklin Crossing in Franklin, MA for 2016. Both Units 2208 and 612 sold for $160,000. Both had nicely updated baths and good interior cosmetics, but the kitchen cabinets and counter tops in each unit were original. The third highest sale price paid in at Franklin Crossing during 2016 was $157,500 for Unit 2002. This was $500 over the $157,000 asking price. Just as with Units 2208 and 612, Unit 2002 had a kitchen with original cabinets and counter tops. The fact all three top sales at Franklin Crossing for 2016 had essentially unimproved kitchens is indicative of the strong demand for homes at Franklin Crossing during the year. Selling for $142,000, Unit 602 fetched the lowest paid at Franklin Crossing during 2016. This was a first floor unit facing the rear green space (away from the parking lot). Unit 602 had the original kitchen and bath and also had an original heat/ac system and original windows. The carpeting in the unit was worn and stained. The asking price reflected the extensive updating needed. Despite the condition of this unit, it received multiple offers and sold for $500 over the $141,500 asking price! Follow the hotlink in the image above or in this sentence to access photos and details about the lowest priced sales at Franklin Crossing in Franklin, MA for 2016. Unit 1403 sold for $145,000, $2,000 over asking price. This was the second lowest price paid at Stone Ridge for the year. Unit 1403 was a first floor, rear facing unit. It had nice laminate floors in the dining/living room and an upgraded bathroom, but the kitchen had original cabinets and countertops. Rounding out the bottom three sales at Franklin Crossing for the year, Unit 1210 sold for $151,000. This was a top floor unit with an updated kitchen and bath. The price paid was $1,100 over the asking price. The homes at Franklin Crossing in Franklin, Massachusetts are garden style (one level) condos with an appealing, modern feel. All units have heat pumps and central air conditioning. Franklin Crossing’s location is superb: situated on a pleasant hill so as to enhance privacy, the condos are very close to an abundance of shopping and services. I-495 and the Forge Hill commuter rail station are readily accessible. The association’s amenities include an in ground pool, a tennis court and a play area for young children. 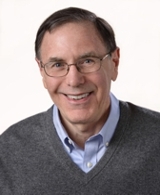 Contact Warren Reynolds to learn more about living at Franklin Crossing and to visit homes for sale there!